I had an upset stomach yesterday and almost vomited out of pure disgust. This followed a news report I read from an online media about the incident during the Nothing To Hide 2.0 forum in Shah Alam yesterday, where slippers were thrown at former prime minister Dr Mahathir Mohamad, before chaos took over. According to the article, Parti Pribumi Bersatu Malaysia (Bersatu) Youth chief Syed Saddiq Abdul Rahman went all teary and super emotional upon telling reporters how a Chinese DAP worker protected a group of Malays from getting hurt by using his own body as a shield. 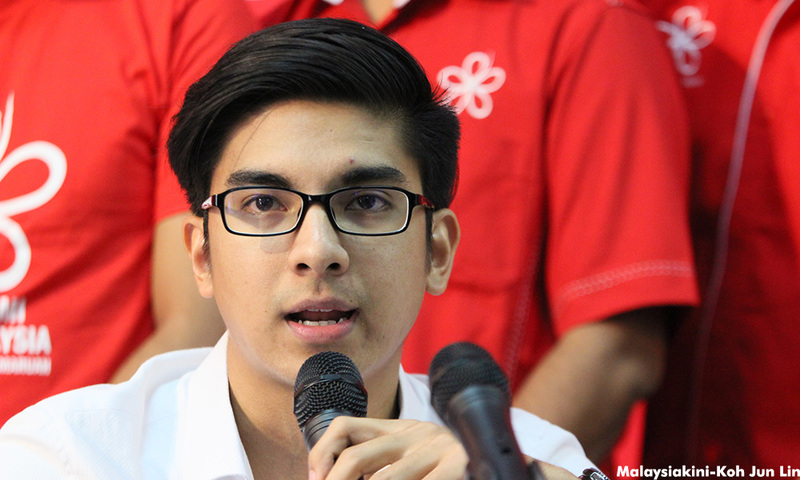 “You say there is racism… but…” said Syed Saddiq, very much in his character, almost as good as Shah Rukh Khan. First of all, let me just say how sickening it is for a representative of a party that was formed along the lines of Umno, featuring ex-members of Umno, to have the nerve to even talk about racism when non-bumiputera members of the party are denied the rights to vote and contest for party positions. I get it. The representatives of Bersatu and its supporters are under the opinion that the party has to remain pro-Malay in order to gain the support of the Malays who are, sad to say, very communal. But if right is right and wrong is wrong, why do we take the wrong path to achieve what is right?